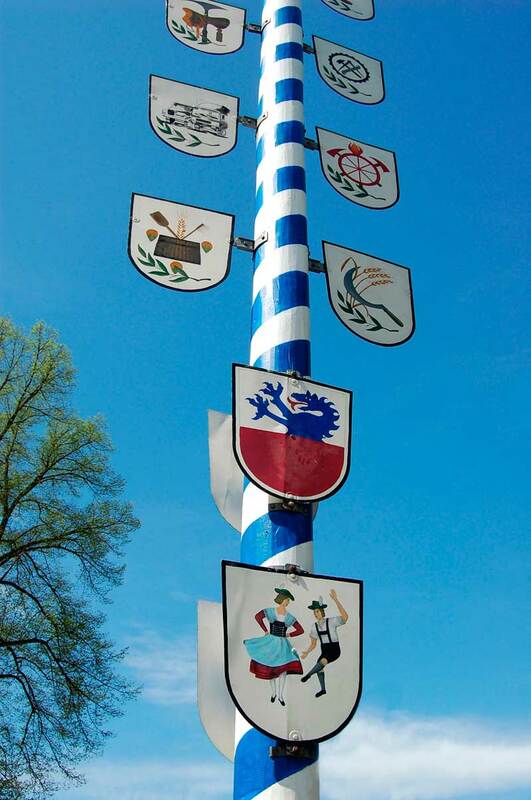 May Day celebrations were a big holiday during the Middle Ages. May Poles, the trunks of very tall trees, would be painted. Many were often left up year round, and repainted and repaired as needed over time. It was also the day when, during the night leading up to May Day morning, there would be much frollicking in the woods. Young people would spend the night in the woods, reputedly gathering garlands of spring flowers to use as decorations when daybreak came, or “nutting”, gathering spring nuts to be used as part of the feasting. “Nutting” was also done in the fall, for fall nuts. 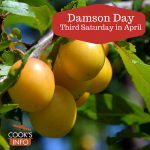 The expression came to mean both gathering nuts, and courting a girl, because it was one of the legitimate times when young people could go off alone into the woods. It acquired great sexual connotations, especially because of the association of the word “nuts” with bits of a young man’s body. The Puritans killed off May Day in 1644, but it revived somewhat after the restoration of the monarchy. British May Poles were always very tall. 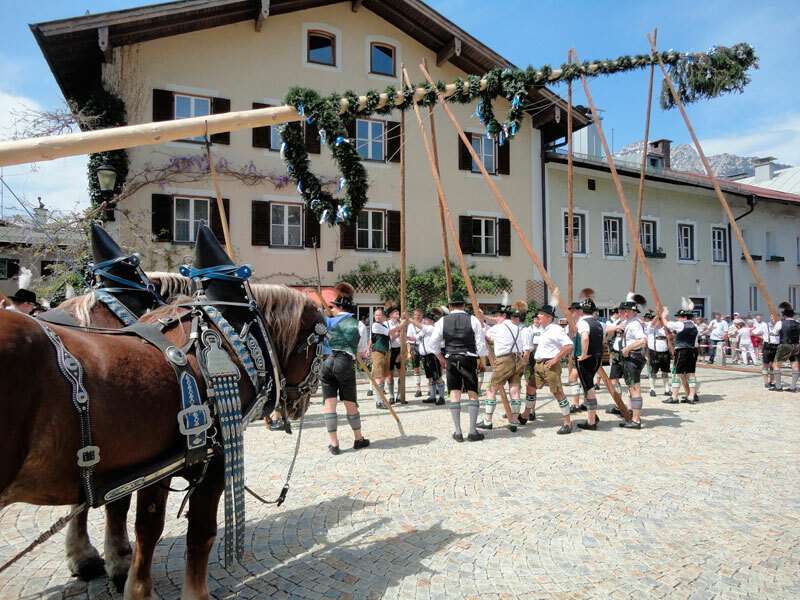 The short ones are a tradition that has come in from Southern Europe. 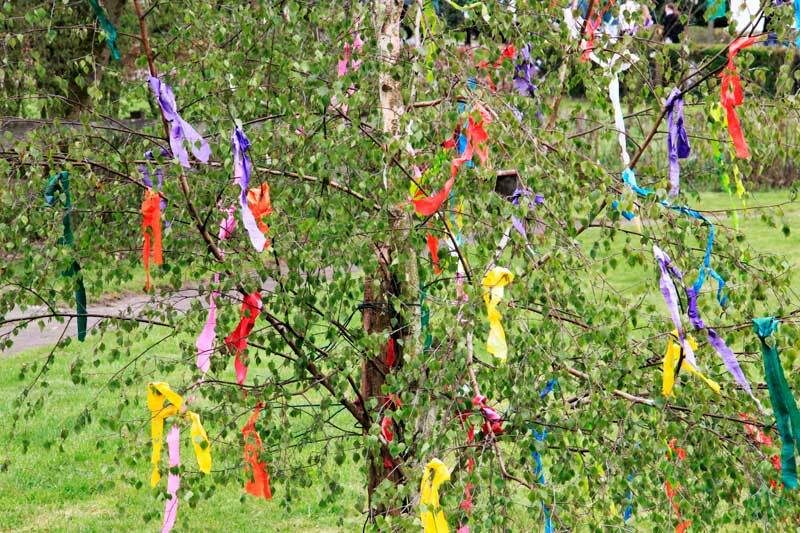 It’s a myth that Druids looked on the May Pole as a phallic symbol. 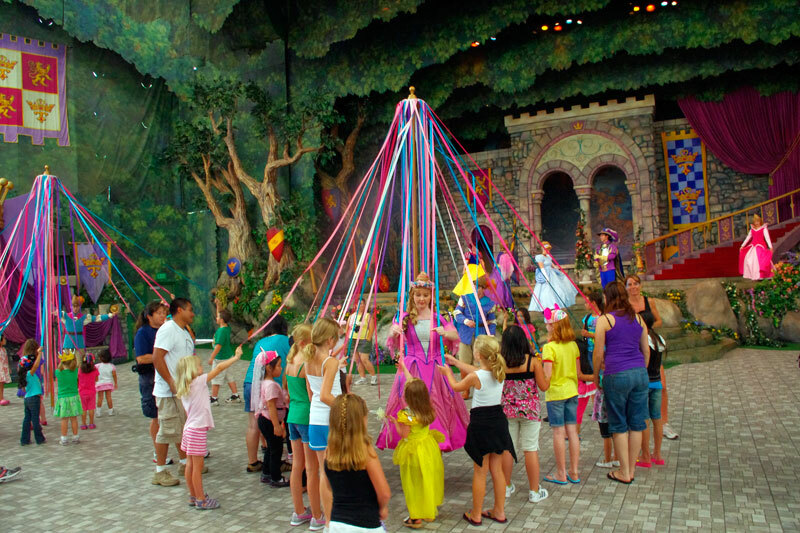 In fact, it’s a myth that the May Pole had pagan origins at all. If anything, it has more in common with the Roman festival called “Floralia.” The myth seems to have been started by the book called “Anatomie of Abuses” by a noted Puritan named Philip Stubbes in 1583. Nowadays, in Europe, May Day has become the day for unions and socialists to march. Chardonnay and brie are more likely to be served than nuts.